During Passover, we are sharply reminded of what it was like for us to be slaves in Mitzrayim. We are also living the 150th anniversary of the Civil War during which many southern Jews not only fought for the Confederacy, but were slave owners. With permission from Jewniverse.com, I share the following article about a new production on this topic currently showing at the Arden Theatre Company in Philadelphia. For dates and showtimes check their website at ardentheatre.org. This play was the winner of the 2011 John Gassner New Play Award from the NY Outer Critics Circle. At the end of this article, there is a list of other theaters around the country that are also showing or will be showing this production. None of us wants to think about Jews being slave owners but the reality is many were. I wonder how they could sit at their seder tables and talk about being released from slavery while being served by slaves of their own. 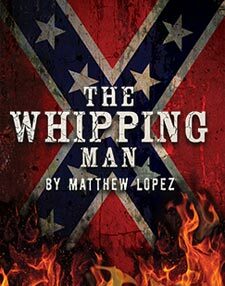 Matthew Lopez found the inspiration for his award-winning play, The Whipping Man, in the footnote of a history book; apparently, Robert E. Lee surrendered at Appomattox Court House one day before the start of Passover. “It gave me goosebumps,” Lopez recalled, “to realize that the ancient tradition of commemorating the Exodus from Egypt was occurring at the same time a new American exodus was happening.” That realization gave way to the 3-man play that is now being staged at more than a dozen theaters across the country. Act One begins with a Southern Jewish slave-owner returning from a Civil War battlefield, badly injured, to find his Richmond plantation in ruins. Two newly freed slaves tend to their former master, who would have otherwise died of his injuries. The next night, the 3 men hold an improvised seder, with the former slaves joyously bellowing “Let My People Go!” Later, family secrets unravel. Many Southern Jews did indeed own slaves, and thousands fought for the Confederacy. The Whipping Man explores this little-known fact and its implications. The result is unforgettable—and disturbing. Posted in General Interest, Justice, Justice, Shall You Run After... and tagged jewish renewal, passover, pesach, slave owning jews, slavery, social justice, tikkun olan. Bookmark the permalink.